Resource center A Look at Drug Abuse. Common Signs and Symptoms How Does Drug Addiction Start and How Can it Be Prevented? A study presented to the Cognitive Science Society in 2015 indicates that an individual’s political beliefs often frame whether that individual believes that addiction is a matter of personal responsibility or biologically predicted. However, the question of how addiction starts is more complex than a set of personal or political beliefs. Addiction comprises a challenging series of mental health disorders that are still not fully understood. Continuing research seeks to determine what causes a person to become addicted to substances, endeavoring to find ways of predicting the potential for addiction in individuals to improve prevention and treatment capabilities. So far, the answers include a variety of contributing factors that are often linked together. Biology: This includes genetic factors, as well as a person’s physical constitution, such as gender, ethnicity, disease, fitness, and a variety of other attributes. NIDA states that this may contribute about 40-60 percent of the person’s risk of addiction. Environment: A person’s upbringing, beliefs, and experiences influence the potential that the person will begin to use drugs, as well as the possibility that such use will become abuse and lead to addiction. Development: Various developmental points in a person’s life, particularly during childhood and adolescence, may make substance use more likely to occur early, and this can in turn lead to a higher risk of addiction later in life. Rather than just one of these elements, a combination of them is often present in an individual’s decision to begin using or abusing drugs, which can then lead to addiction based on those same factors, plus additional complications. 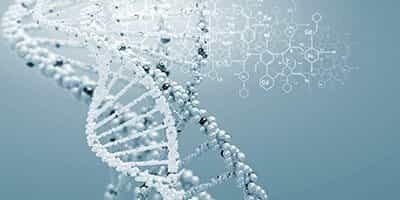 As described by an article in Nature Neuroscience, genetic factors along with environmental factors interact with each other over the course of development to sum up the risk of developing addiction. A study published in the Annual Review of Genomics and Human Genetics demonstrates that variations in certain genes can contribute to a person’s potential to develop alcoholism. However, these genes alone do not determine whether alcoholism will be passed on. The article acknowledges that there may be other gene variations that contribute. In fact, other studies, such as one from the journal Addiction, indicate that other types of variation are involved. The ways that genes work and interact with one another are complex, and there may be a range of combinations and factors that result in the inheritable trait of addiction. While genetic research will continue to illuminate these contributors, there is a general understanding that genetic propensity alone will not result in a person becoming addicted to a substance. In fact, some of those genetic factors may never come into play if the person’s environment doesn’t promote the behavior. The childhood home or environment is chaotic, unstable, or abusive. Parents or peers have an accepting attitude toward substance use. The peer group uses drugs or alcohol and exerts peer pressure. The person struggles with academic or social success. The person is continually stressed or under pressure. Other factors in a person’s day-to-day life may also contribute to this risk, including socioeconomic status, residence in a rural area or a city, and prevalence of crime in the person’s family life or area of residence. A recent study from Genes, Brain, and Behavior shows how these environmental factors can contribute to the development of addiction. A person who is exposed to stress can actually experience physical changes in gene expression that may lead to behavioral changes and result in substance abuse. This genetic change as influenced by environment is called epigenetics and demonstrates that a person’s genetic tendency toward addiction may not manifest if the environmental conditions don’t initiate that change. A growing number of experts are looking at substance abuse and addiction as a developmental disorder. 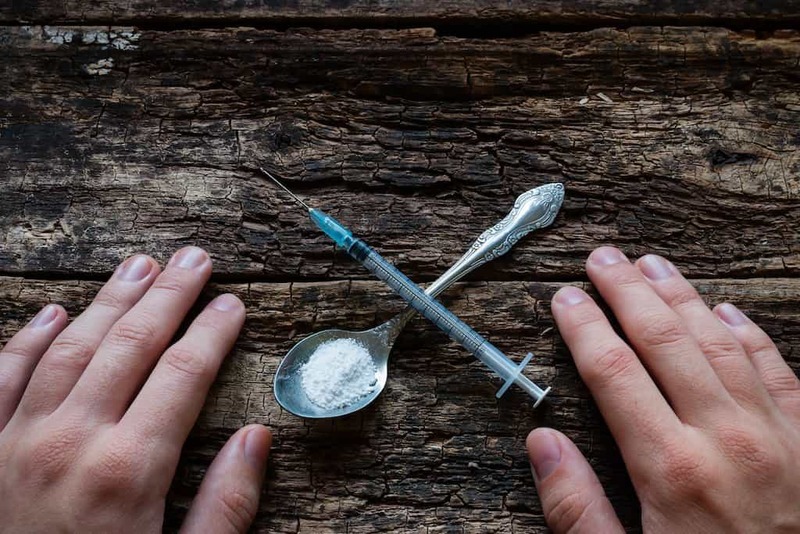 In fact, an article from Current Addiction Reportsencourages this approach, based on the fact that certain developmental points in a person’s life are more likely to result in the environmental and epigenetic circumstances that can lead to addiction. Research, such as a study from Trauma, Violence, & Abuse, indicates that abuse in childhood is just one of the factors that can result in early use of drugs or alcohol that can later develop into a substance use disorder. This is not just because of environment, but also because of the susceptibility of the brain at this critical point of mental development. A person who has other mental health disorders may be more likely to develop a substance use disorder as a result of a behavior called self-medication. For example, people with schizophrenia, depression, or anxiety may be more likely to develop addiction as a result of self-administering drugs or alcohol to diminish the symptoms of the mental health disorder. A recent study in Psychopharmacology shows that this may result from problems with certain hormone levels in the brain. Some research has shown that long-term use or abuse of certain drugs, such as benzodiazepines, can cause changes in the hormone and neural pathways of the brain that in turn lead to diminished levels of hormonal receptors. This causes tolerance of the substance to occur, which can lead to addiction. A number of studies, including an article in Australian Prescriber, have shown that long-term use of benzos can lead to dependence. It should be stressed that no single one of the elements above is complicit in the development of addiction on its own. Addiction is not a case of nature versus nurture, but instead is a complex interaction of many factors. For this reason, trying to simplify addiction as being purely attributable to biology or only the result of behavior is detrimental to the ability to prevent and treat this problem. Research into the causes of addiction is ongoing, with the hope that in better understanding the causes, it will be easier to prevent and treat the condition. In the meantime, this research enhances the ability to provide treatment that can help people recover from addiction and manage the condition to remain substance-free for the long-term.